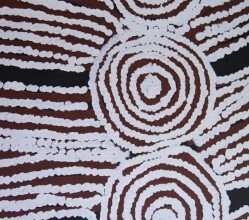 Subjects and Themes(Dreaming): Travels of her female ancestors, the sites they passed and the bush tucker they collected. 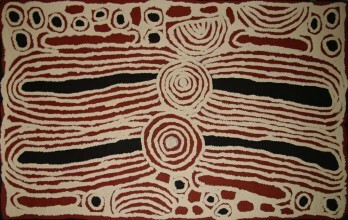 Pintupi artist Yala Yala Gibbs Tjungurrayi, a leading figure, who died in 1998. 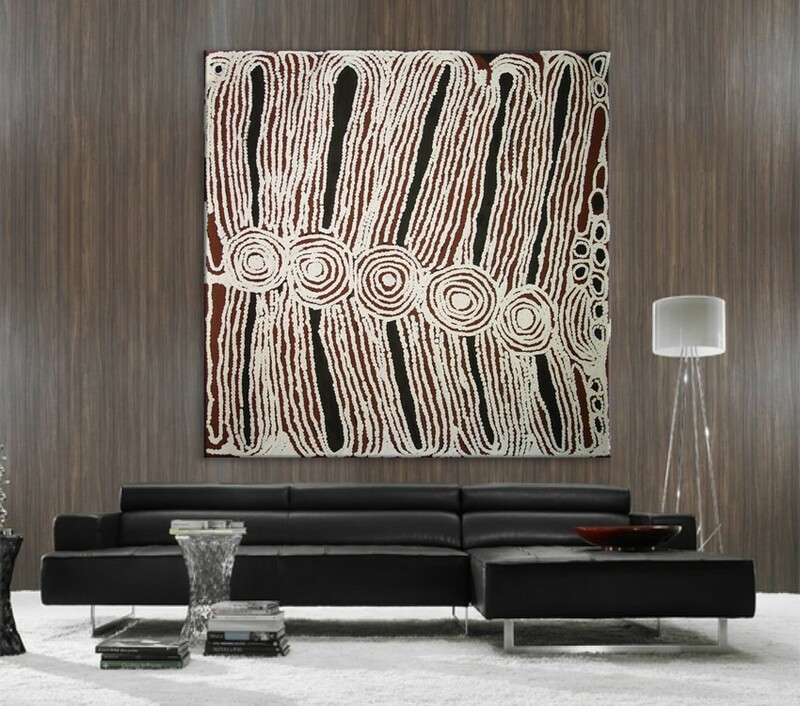 Ningura's blossoming of Aboriginal art famously began at Papunya in 1970`s. Overs years, Ningura observed the senior artists in Papunya working on large paintings and listened to them discussing the importance of the story layout and the meaning behind each peice. 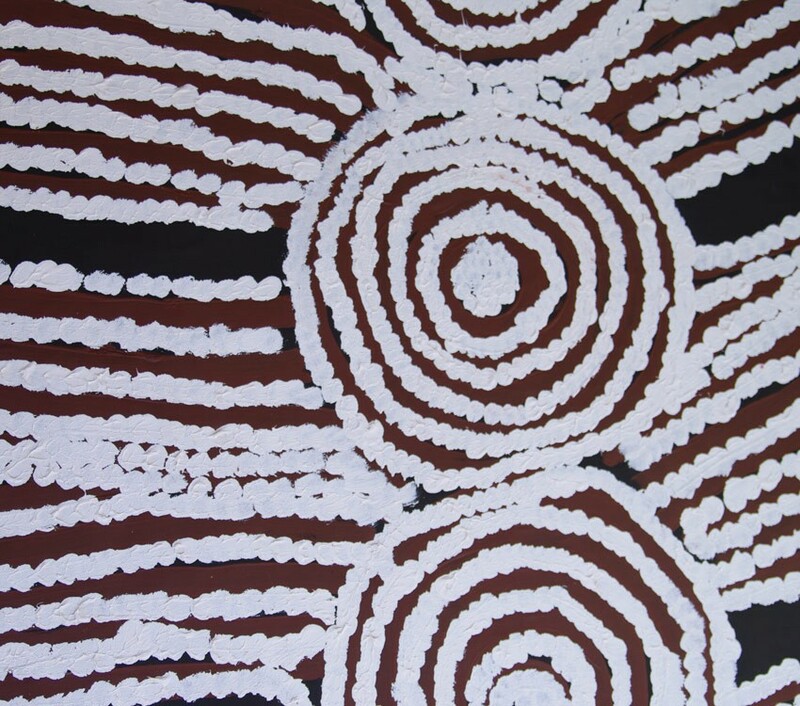 The painting syle derives from the artist`s knowledge of traditional body and sand painting associated with ancient ceremonies. 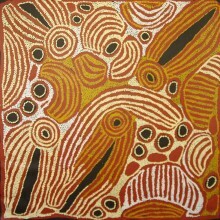 In 2000, Ningura had her first solo exhibition with William Mora Aboriginal Art, and participated in the impressive Kintore Women's Painting for the Papunya Tula retrospective at the Art Gallery of NSW. 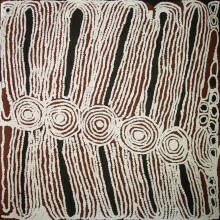 In 2003, Australia Post celebrated her work by featuring it on stamps. 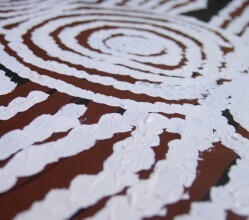 Iin 2006, she gain worldwide attintion when her work was used to decorate a building at the Musee du Quai Branly in Paris, an art museum specialising in indigenous art from all around the world. 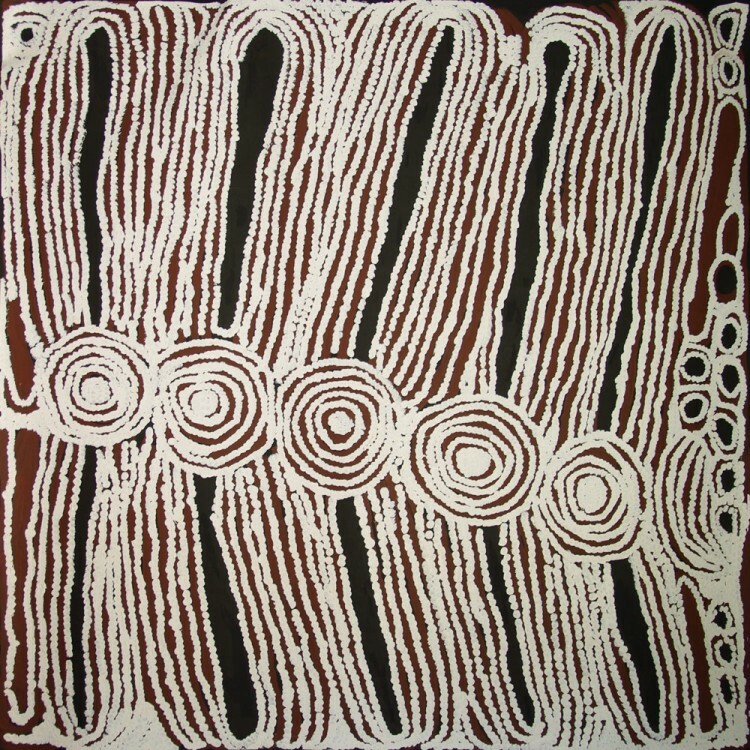 Her art is unique because this women grew up in the desert and as a young person had no contact with western civilisation. 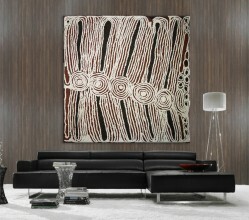 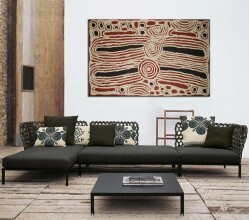 The painting depicts Aboriginal iconography which refers to the Dreamtime female ancestors and their travels.